Dr. Ingram was born in Germany and raised in Pisa Italy, as a military dependent. 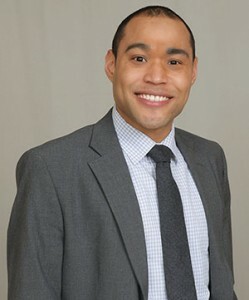 Upon graduating high school in Pisa, Dr. Ingram along with his parents and two brothers relocated to the Seattle area. After graduating from The Evergreen State College, Olympia WA. Dr. Ingram decided to attend Chiropractic School at Life University in Atlanta GA, where he received his Doctorate of Chiropractic degree with honors in 2006. Since graduating, Dr. Ingram has returned to the Seattle area and has worked on expanding his knowledge with many different treatment techniques, to adapt to different body types and to deliver the most effective possible treatment. Along with his wife, Dr. Ingram enjoys staying active with his two boys and watching them develop in life. Dr. Ingram loves seeing people feel better and live better quality of lives, through better health.